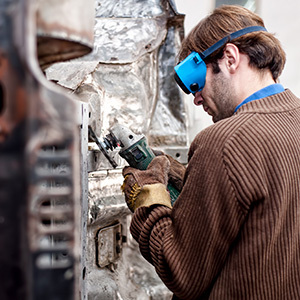 Collision repairs: Being in an accident can render your car damaged in ways that are both visible and unseen. At All Valley Auto Body Shop, it’s our goal to make sure that more than just your aesthetic is taken care of. We’ll restore your car’s body to a pristine, like-new condition and assess any of the damages that may not be immediately visible, providing you with a comprehensive picture of your accident that’s addressed through and through. You can be sure that your vehicle is receiving the attention that it deserves when you choose All Valley Auto Body—we treat your automobile as if it were our own. Insurance claims service: When an accident has occurred, you rely on your insurance to cover the cost of your repairs. Dealing with the insurance company can be frustrating, however, leading to unnecessary headaches and lengthy waits for your insurance check. At All Valley Auto Body, we’re experienced claims specialists and are proud to showcase our talents when dealing with your insurance company. We’ll handle the claims process so that you don’t have to and help you to get the check that you deserve. Professional auto paint and color matching: Even minor scuffs and dings can make a brand new automobile look worn down and lackluster. 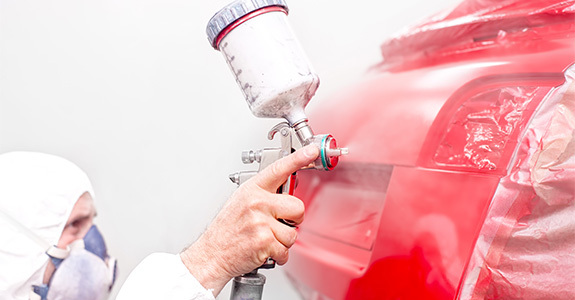 Thanks to the exceptional expertise of our professionals, All Valley Auto Body is a seasoned auto paint service that can also provide spot on color matching. We’ll have your car touched up or repainted in a way that makes it look as though it has just rolled off of the lot! At All Valley Auto Body Shop, it’s our intent to provide more than just stellar auto body repair—we’re also dedicated to earning your trust. Whether we’re just removing a few simple dents and dings, or providing your vehicle with a much needed paint job, we take pride in what we do. Call us today at 818-760-3182 to learn more about the top quality auto body repair services that All Valley Auto Body can offer you.